Today Eveditor 1.5 Beta 1 is available for download. It includes the standalone PATH editor with nice multiline formatting. As it is in beta stage, don’t forget to backup your PATH variable before playing with the editor. 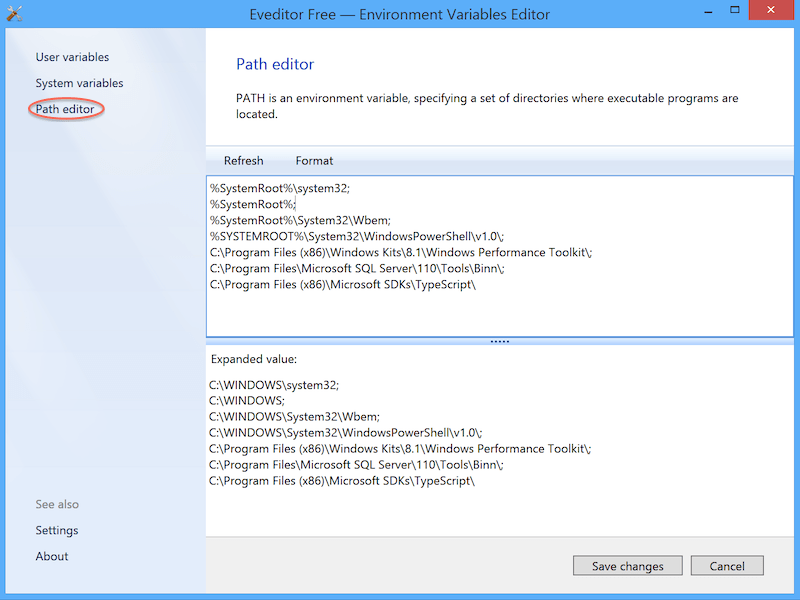 Windows Environment Variables Editor © 2019. All Rights Reserved.